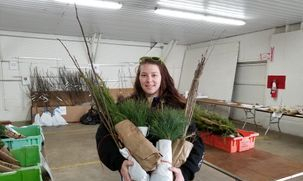 Tree and Shrub Seedling Sale! The Berrien Conservation District is offering a variety of evergreens, deciduous trees, and shrubs for purchase. There are also fruit trees and berries available. Pick up of all orders and sale dates are April 26 from 3pm in the afternoon to 8pm in the evening, and on April 27 from 9am until noon. No early pickups. Location is the Berrien County Youth Fairgrounds, 9122 Old US 31, Berrien Springs, MI 49103. Most conifer seedlings range from 8 inches to 15 inches, most of the shade trees and shrubs average 18 to 24 inches tall. They are bundled in quantities from 5 to 100. Fruit trees are sold individually and those are 3 to 5 feet tall on average. All sales are final. Berrien Conservation District can not guarantee stock once it leave the premises or is left beyond the Saturday pick-up date. Quantities are limited. Native Plant Presentation and Sale! 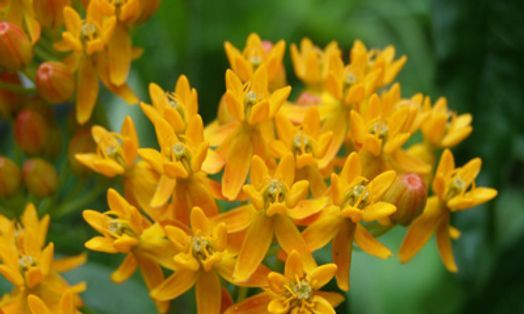 Native Plant Presentation by Vern Stephens of Designs by Nature May 29th from 1pm to 3pm. Order pickup and sale following the presentation from 3pm to 5:30pm. Location: Bridgman Public Library, 4460 Lake Street, Bridgman, MI 49106. We are housed in the USDA Natural Resources Conservation Service Office in the USDA Service Center Building. Our Office hours are from 8:00 am to 4:30 pm Monday through Friday. Due to the nature of our business, personnel may not be available during normal business hours as farm visits, workshops, training, or other may take us out of the office. To ensure service please call ahead. The Regular Monthly Board Meeting for May is the 13th at noon. Board meetings are normally held the second Monday of each month at Noon. Exceptions are when the 2nd Monday falls on a holiday. 2017 Berrien County Plat Books are available at our office! Local farmers finding ways to make crops and environment 'greener' by adding Water Control Structures to their drain tile. 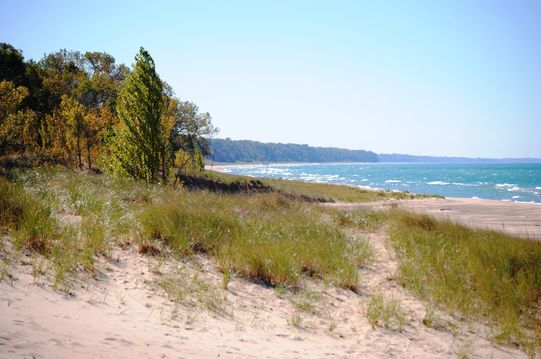 The Berrien Conservation District's mission is to promote the protection and improvement of Berrien County's natural resources through partnerships, education, reforestation, ground and surface water protection, and soil erosion control measures.